Ayush , Sneh International School, Delhi : Ratan Tata is the chairman of Indian Hotels who own the Taj Mahal Hotel Mumbai, which was the target of the terrorists last year. 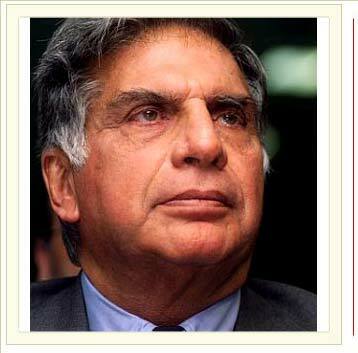 What Ratan Tata did for the Mumbai victims…. Don’t miss!!!!!! 9. Ratan Tata personally visited the families of all the 80 employees who in some manner – either through injury or killed – were affected. 17. This was the most trying period in the life of the organisation. Senior managers including Ratan Tata were visiting funeral to funeral over the 3 days that were most horrible. 7. The whole approach was that the organisation would spend several hundred crore in re-building the property – why not spend equally on the employees who gave their life? Like JOKERS RUNNING AAJTAK, ZEE NEWS , IBN etc. These People are Busy SHOWING CRIMINAL POLITICIANS, RELIGIOUS FANATICS ETC. whats the source of this information?